Is A “MacGuffin” A New Thing, Then? The hunt for the grail, which encompasses both goal and object, is of vital importance to the knights of the Round Table. Its primary place in the story, however, is to spark the Grail Quest, aka a MacGuffin Hunt, with all the tests and vicissitudes that go along with the traditional quest-journey. I would also argue that Arthur’s story begins with a MacGuffin quest as well, with the MacGuffin being the sword in the stone, which exists in the story so Arthur can pull it out and be recognized as the true king. If we go back earlier, to the Greek myths, the golden fleece was the “MacGuffin” that set Jason and the Argonauts on their quest journey to steal/retrieve it. Norse myth, too, has its examples, such as when the giants steal Thor’s hammer (Mjolnir) in hopes of exchanging it for the goddess, Freya, as a wife for their leader. 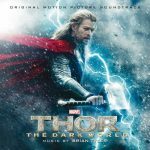 The quest to recover Mjolnir is really an excuse for the customary Thor/Loki shennanigans that characterize a significant proportion of Norse myth. Another legitimate question is whether all MacGuffins are objects, such as the Holy Grail or Excalibur, or alternately the statuette of The Maltese Falcon or the plans of the death star (several times over now) in Star Wars. In my view, the answer is “not necessarily”—although in Fantasy, they very often are. Arguably, though, one of the most famous “MacGuffins” of Greek myth is Helen of Troy, who was abducted by/fled with Paris to Troy. According to the legend, the reason the Greek armies laid siege to Troy for ten years was to get Helen back. Otherwise, though, the Iliad and other related stories, are only peripherally concerned with Helen: what they’re really all about is the battles and individual heroic contests, the tragedy and drama of the heroes and the siege. I believe it would be fair to assert that MacGuffins in all their forms are integral to epic fantasy literature, and also that objects (as opposed to “goals…or other motivators”) are probably the preferred, although not exclusive, form of epic MacGuffins. I believe this trend is particularly pronounced in epic fantasy written for Children and Young Adult readers, but again, not exclusive to it. Both observations bring me directly to The Lord of the Rings, which comprises probably the single most famous MacGuffin quest in epic literature: Frodo Baggins and his eight companions quest to take the evil One Ring to Mt Doom, which is the only place it can be destroyed—destruction being the protagonists’ overarching goal. All other action in the story hangs of this quest, although the ring itself is more of a background threat. In this sense it is aligned to Hitchhock’s definition of a MacGuffin, although its importance to the overall story is probably closer toward Lucas. The Lord of the Rings is deeply grounded in Norse myth, but it departs from myth and legend in that the MacGuffin quest is to destroy the ring, rather than recover or restore it. Guy Gavriel Kay’s Fionavar trilogy (The Summer Tree; The Wandering Fire; The Darkest Road) contains a number of MacGuffin hunts, including the quest of the seer, Kim, to enlist/conscript powers to combat or match those of the enemy. She has a magic ring, the Baelrath, to help her do this. Consistent with the Helen of Troy precedent, those she is seeking to enlist are not objects but magical beings. The second hunt is the voyage of the Prydwen to the magical island of Cader Sedat in order to destroy a sorcerous cauldron that is being used to create revenants. In this way Kay manages to incorporate the more traditional MacGuffin hunt and one that reflects The Lord of the Rings, where the goal is to destroy the object of power. Patricia McKillip’s debut — and World Fantasy Award-winning — novel includes a classic MacGuffin hunt that appears secondary to the main action of the story until the final denouement, while also driving or triggering some of that action. The main character, Sybel, collects magical creatures and the hunt that informs the book is for the magical bird, the Liralen—a hunt that also draws unwelcome attention. As with Kim’s hunt in Fionavar, the Liralen is a magical being rather than an object/artefact. The reason I’m including Books One and Two in Le Guin’s classic Earthsea series is because the author employs two distinct MacGuffins in each book. In A Wizard of Earthsea Ged must hunt for the true name of the dark being he himself conjured, in order to master it and so save his own life. In this book, the MacGuffin is vital to Ged and the story, so reflects the Lucas view of the trope. In The Tombs of Atuan the reason for Ged going into the tombs, and hence sparking the story, is to find the lost half of the Ring of Erreth-Akbe. Arguably, though, the finding of the artefact is peripheral to the Atuan story, which is really about Ged and Tenar, love and hate, power and responsibility. In Susan Cooper’s renowned series (which draws on the Arthurian legends, English folklore, and Celtic and Norse mythology), every book is centered on a MacGuffin hunts to recover a series of artefacts of power necessary to defeat the Dark. These include the grail and the codex to decipher it, the six Signs, a harp of gold, and a crystal sword. Consistent with Lucas’s thesis, the MacGuffins and their recovery are integral to the series. The conclusion of the first book (The Ladies of Mandrigyn) introduces and sets up the MacGuffin quest for Books Two (The Witches of Wenshar) and Three (The Dark Hand of Magic), in which the wizard, Sun Wolf, searches for a teacher for his newly discovered magical ability. This quest is a classic MacGuffin in that it sets up the plot and character motivations but is never resolved. So Who Wins, Hitchcock or Lucas? On balance, I’d say the honors are fairly even between the MacGuffin being important to the protagonists and antagonists, but not vital to the reader’s enjoyment of the story, and those quests that are significant in their own right and where we (as readers) care about the outcome, e.g. whether the MacGuffin is found, recovered, or destroyed. So What About My Own Books, Then? I am reasonably certain (although I stand to be corrected) that a MacGuffin hunt does not feature in Thornspell. The protagonist does find a magical sword, but he isn’t aware of its existence until he stumbles upon it, and he certainly doesn’t go looking for it. Since Thornspell is a retelling of Sleeping Beauty from the perspective of the prince, arguably the quest to find and wake the princess could be the ‘MacGuffin’—but I feel that would only follow if the princess were the traditional non-player character. As I made the princess a far more active part of the story, I’m inclined to the view that she can’t be considered a ‘MacGuffin.’ However, I am happy for readers to make up their own minds on this point. There are three weapons, a helmet, sword, and shield, with the finding of each one being a thread, but not the principal action, in each of the first three books in the series. 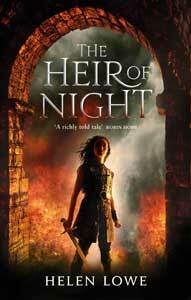 That is: The Heir of Night: helmet; The Gathering of the Lost: sword; Daughter of Blood: shield. In this sense, my approach is closer to that of Le Guin in The Tombs of Atuan, than to Susan Cooper in “The Dark Is Rising” series. In fact, I suspect the MacGuffin trope is similar to a binary star system, with most epic stories orbiting somewhere between the two approaches put forward by the two famous directors. Do you think the Golden Fire fits into this trope? I just re-read the end of book 3 … and must say, that’s a helluva cliffhanger. Hints? No apologies necessary … it’s an AMAZING end to that book. It just opens up so many possibilities about what comes next. Good luck with the writing! Another enjoyable read, this blog post, Helen.